Whether your needs are for large industrial type or small laboratory heat exchangers, or POU sampler with or without control cabinets, Garrett Industrial Systems provides a wide selection to choose from. Most of our HEX units are custom made to fit very specific applications and performance criteria, while others offer off-the-shelf solutions for quick turnaround. Whatever your needs, let us provide a solution for your application. 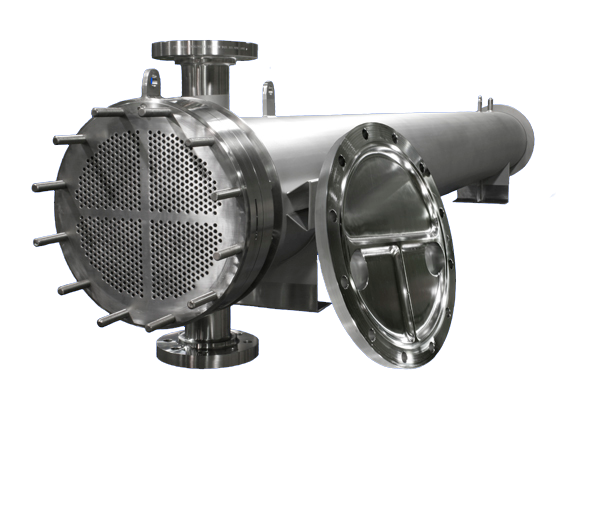 Garrett Industrial Systems provides a large selection of high-purity, high quality shell and tube heat exchangers for your thermal transfer requirements. Our HEX equipment is all custom designed and engineered to provide highly efficient, cost-effective, performance. Heat exchangers are manufactured utilizing specialized construction materials and techniques to prevent cross contamination of process and utility solutions, and are offered in both U-Tube or straight tube designs, all of which are ASME code-stamped and certified. 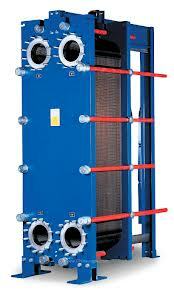 Each heat exchanger is manufactured with all stainless steel material for corrosion resistance and product integrity. Electropolished material contact surfaces are offered for ultra-high-purity (UHP) applications. A variety of available sizes, from very large to MINI heat exchangers are available from Garrett Industrial, all engineered for superior performance out of the box. Control Panels are manufactured per your specifications and certified by our engineers to provide years of continuous operation. Each exchanger is manufactured under rigorous quality control protocols and are tested and documented to insure peak performance. Depending on the particular application, tests can include borescopic tube inspection, profilometer readings of mechanical and electropolished surfaces, saline testing, dye-penetrate tests, radiographic examination, hydrostatic pressure tests, etc. all to insure the highest quality guarantee. Complete Documentation Packages are assembled prior to shipment and include all drawings, engineering calculations, material test reports, performance testing reports, surface finish and electropolishing certificates, and other required documents. To meet the needs for an efficient sanitary heat exchanger for point-of-use cooling of Water-for-Injection (WFI) applications, with no risk of contamination between the product and the cooling media, Garrett Industrial Systems worked with several manufacturers to meet the needs of the industry. 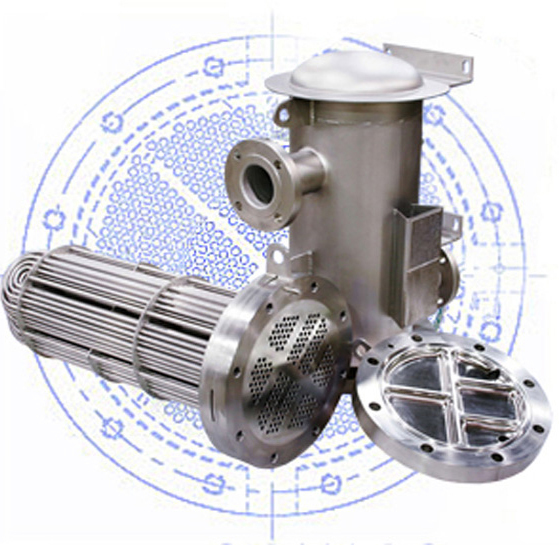 Several different sizes of heat exchangers are offered for point-of-use cooling of WFI, and other applications requiring heating or cooling of purified water. 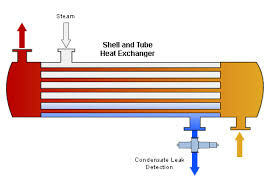 Different designs are offered to increase the speed and efficiency of the heat exchanger while reducing the risk of bio-film and particle contamination. The design of the heat exchanger eliminates the possibility of cross contamination, while providing high efficiency and performance, without dead legs. This gives full control over the product flow allowing low hold-up volume and very low cooling water demands. 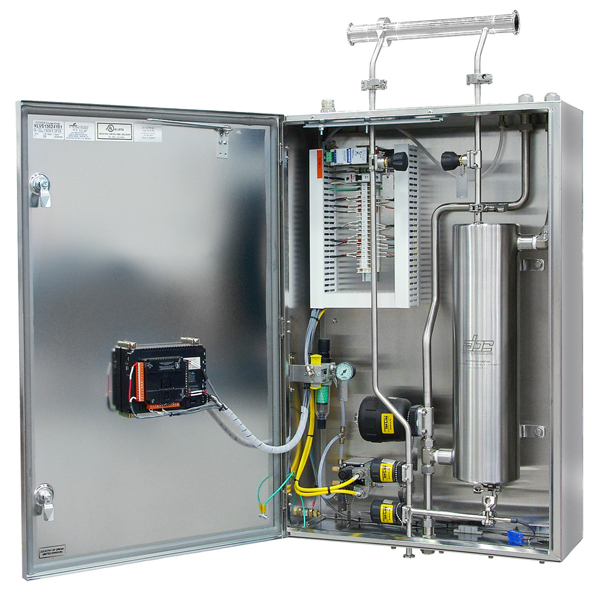 The response time is excellent and the design is virtually maintenance-free, with no gaskets to replace, saving valuable downtime of the system. Electropolished seamless tubes for high purity and cleanability of contact surfaces.